STORM OF THE DEAD! Nebula unleashes a Thor of nightmares! 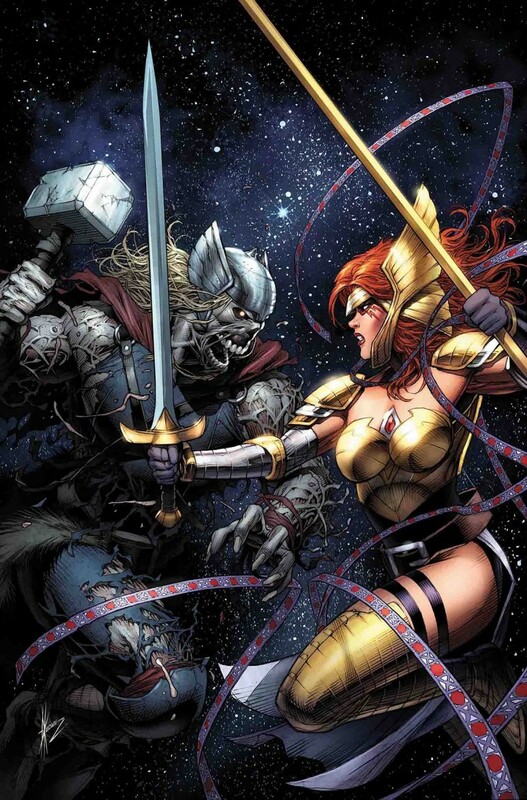 Hordes of Asgardian dead ravage the Shi’ar Empire! The galaxy is falling to Nebula and her Naglfar Armada - and so far Angela’s ragtag team is powerless to stop her. But there is a debt to be paid and lives to be saved. The Asgardians of the Galaxy grow desperate as Nebula carves a bloody path to her revenge!